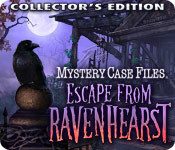 Mystery Case Files®: Escape from Ravenhearst™ Collector's Edition is rated 3.6 out of 5 by 883. Rated 5 out of 5 by silverrevlis from Hands down..one of the best games I just played for the first time, and WOW! There are actual puzzles and you must think. The game lasts quite a while and keeps you moving. I wish there were more like this. The puzzles are interactive, engaging, unique. Rated 5 out of 5 by Izzy1287 from Twisted, Thrilling, and--Yes--Disgusting. By Far the Best MCF Installment. 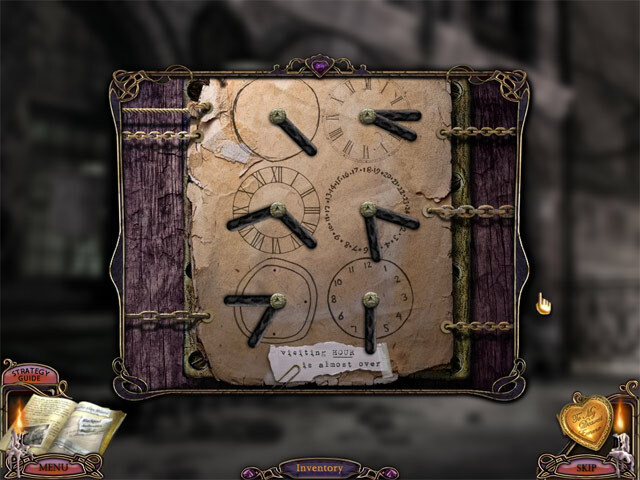 If you were waiting for the Mystery Case Files series to get scarier, then this game has delivered! 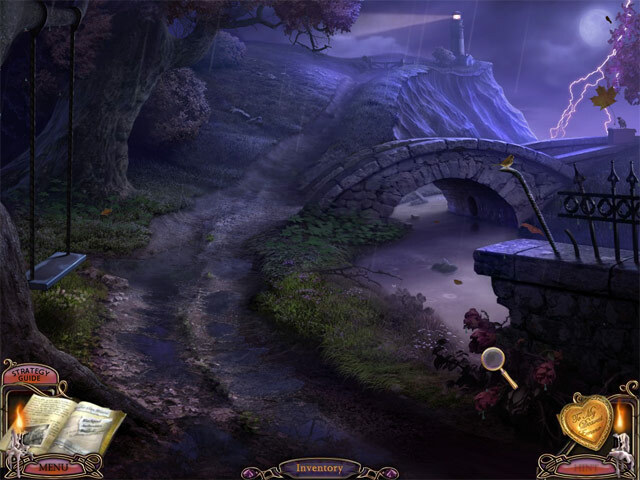 The previous two Ravenhearst games were fun, a bit easy, and had an excellent storyline and gameplay. This game, while it is excellent, is not for the faint of heart or easily disgusted. There are plenty of nasty moments, but if you are like me and a fan of the twisted nature of Charles Dalimar's psyche, you will be an enormous fan of this game. The game goes as follows: the Master Detective has been called back to the Ravenhearst estate at reports of people in the surrounding area having gone missing. You soon find yourself trapped in an underground structure of Charles' creation, detailing his life's troubles, and you must navigate through them. If you've wondered what can make a man as crazy as Charles, this game has the answers. The graphics are amazing, the music is some of the best(creepy, old, and perfect), the puzzles are challenging, and our band of characters is absolutely the best of any game I've played. Rated 5 out of 5 by cmarti from What a challenge, loved it. I just played through this third in the series as I make my way through in order. This is a super creepy game, so be prepared. Having said that, I am really enjoying following this story from the beginning. This game moves the series to a high and very challenging level. There is very little in the way of hints or help, many times I had to turn off the game after getting stuck and come back later with fresh eyes. I did have to go the walkthrough once. Rated 5 out of 5 by J9CT from Scary, Creepy, Unsettling, Pyschological........ Review based on the SE. This is a masterpiece of a game, you just don't get better than this!!!! 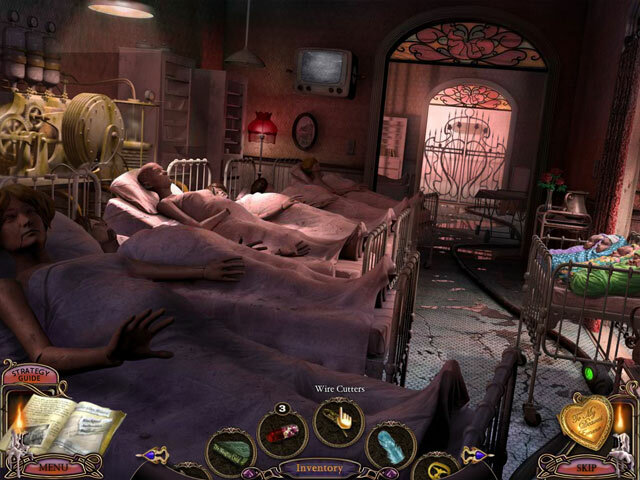 This game has everything that a horror movie has: insane asylum, mannequins, childhood trauma, mental disorders etc. This was really a fun, dark, unsettling game to play but I don't recommend to those who scare easily. The storyline and puzzles will keep you intrigued and challenged. I dare you to try it. Rated 5 out of 5 by elebubu from Why not one more? This is my second review only for missing a lot this kind of game, advanced, smart, really challenging and clever. The story is amazing, complete, with a final like a real film. You're deep inside the nightmare of Charles Dalimar. This was a masterpiece. Why not anymore games like this? I'm so sorry, because the low rating, people love stupid games! Rated 5 out of 5 by oliviachubey from By far the best game I played here so far! Wow, this was different! So engaging that I could not stop playing. Story line is very intriguing, VERY TWISTED and pulls you right in. All story line acts/chapters are very well connected. I never expected to be thrown into the world of a madman to relive his childhood through his eyes and understand how he became so twisted. I actually felt sorry for him...Read the warnings people, this game is intense. Puzzles are challenging and you have to keep close attention to everything you see as you end up using clues in all sorts of places. I recommend a good old paper pad and pen handy. I give MEGA props to the production team!! Oh, the credits will make you chuckle...enjoyed the bloopers. Rated 5 out of 5 by sivakarthikeyan from marblous mystery games i mostly discovered the mystery games because those make me a interisting for that. Rated 5 out of 5 by tklow from Fantastic, creepy, challenging game Loved it. Creepy, unique, and edgy story. Very challenging and fun puzzles. Morphing objects could be a bit tedious, but overall really good!